Nativity’s Parish Council is the coordinating and unifying structure of our parish community under the direction of the pastor. Council members operate as a parish in miniature, gathering the thoughts and ideas of the community. These thoughts are then presented to the Council for discussion until general agreement can be reached. These consensus concepts are then translated into parish goals and action plans. 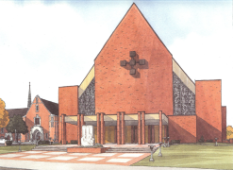 It is the desire of the Council to reflect the viewpoints of the people of Nativity Parish. Their performance is very dependent upon the input of parishioners on issues of importance to them. This role is one of service to the parish through leadership. 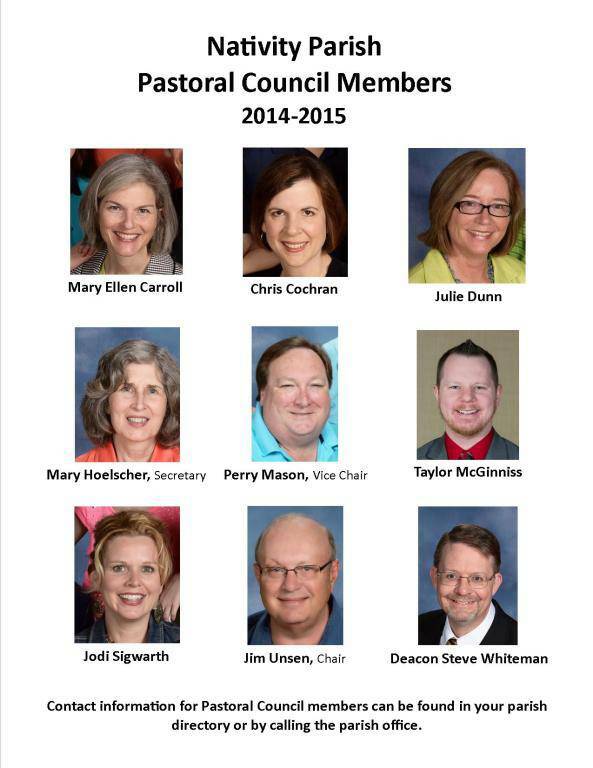 Membership on the Council is attained through selection by the parish at large and appointments made by the Pastor. There are nine elected positions and three appointed positions. Membership is for a three year term with three elected positions and one appointed position expiring in June. The Pastor is an ex officio member. Each board member serves on one of six Committees: Faith Formation, Community Life, Finance, Liturgy, Social Justice, and Stewardship. Meetings of the Council take place on the third Thursday of each month at 6:30 p.m. in the Parish Conference Room. All parishioners are invited and encouraged to attend as all meetings are open.